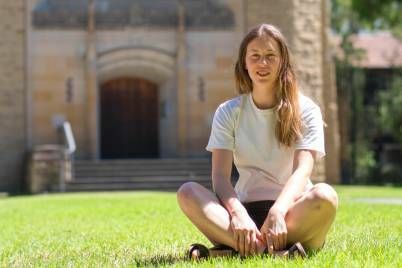 University of Melbourne students Dale Hinkley and Kate Methven have been awarded Rural Finance Scholarships in this year’s round. The scholarship gives Victorian agriculture students financial and mentoring support. 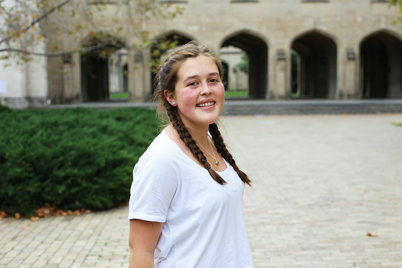 Meet Emily - a second year Bachelor of Agriculture student. Thanks to a scholarship Alistair Legione, a PhD graduate from the University of Melbourne, was able to take his work about diseases affecting animals to the world stage. We invited Alistair to discuss how, by donating please hyperlink donating to the generic giving page today, you can support students like him work towards developing solutions for animal health, and for the prosperous future of Australian agricultural and food industries. “Agriculture, food and veterinary sciences have key roles to play in the global challenges of food security and human and animal health. Diseases can have a devastating impact on our animals and as a student of the Faculty of Veterinary and Agriculture Sciences, I’m fascinated by the make-up of diseases that are currently devastating our koala population. Koala retrovirus is a virus that can integrate into the koala’s DNA, causing suppression of the immune system. Worryingly, it’s spreading through the koala population along eastern Australia. Chlamydia is also prevalent in up to 70% of wild koala populations, causing infertility and blindness. In 2016 I was given an amazing chance to advance animal health and welfare by taking my PhD research to the world. 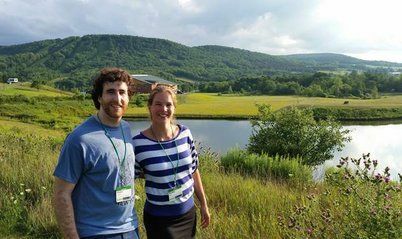 Thanks to a scholarship from the University of Melbourne, I travelled to Cornell University to attend the International Conference for the Wildlife Disease Association, and presented my research to Columbia University in New York. I also visited world-class research and diagnostic labs to learn about their work methods, before bringing this new-found knowledge back to Australia. Without the financial support of a scholarship from the University of Melbourne, I wouldn’t have been able to benefit from this incredible experience. Not only did I present my research at one of the most prestigious universities in America, I met with distinguished researchers in their natural environment – their lab – and learnt where our research can intersect, and be applied to protect and maintain habitat and threatened species. Annika being presented with her Royal Agricultural Society of Victoria Scholarship Certificate by John Fazakerley, Faculty Dean at our Annual Dean’s Honours and Awards Presentation. Supporting Scholarships enables us to provide vital financial support for students, allowing them to take full advantage of the educational opportunities that our Faculty provides. Scholarships also recognise achievement and miiiiake students proud, spurring them on to accomplish their best, knowing that you stand beside them. 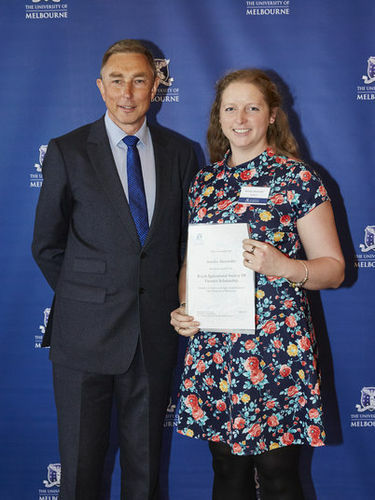 “Receiving the Royal Agricultural Society of Victoria Scholarship in 2016 made a vast difference to my ability to concentrate on my studies by giving me the freedom to limit the amount of part-time work I had and to get me through the costs of living and studying. I have been able to enjoy the course to its fullest extent, discussing topics with lecturers and fellow students alike. My results have mirrored my enjoyment with consistently high marks and the Dean’s Honours Award for being one of the top students. While studying I have also been fortunate to also receive the William Allan Stewart Establishment Bursary, and the John and Olga Lawless Ziegler Scholarship. With the freedom that came from the scholarships I was able to make the most of opportunities when they arose. I volunteered at the Royal Melbourne Show, attended networking events, undertook unpaid placements and industry conferences. My placements have taken me across Australia, to Sydney with Australian Wool innovation, Armidale with Sheep Genetics, Orange with Bralca and Clare in South Australia with AgriPartner Consulting. These opportunities put me in the path of many industry professionals who have generously given their time, knowledge and in some circumstances, continuing mentoring support. While I considered branching out of the sheep industry I grew up in, I seem to keep being drawn back in. My summer was spent working with CSIRO on a two month project studying the impact on genetics of breeding for immune competence in sheep. This led to offers of further involvement and I will be undertaking an Honours project with CSIRO, studying the impact on the immune system, of a vaccine for the Barber’s Pole worm in sheep.